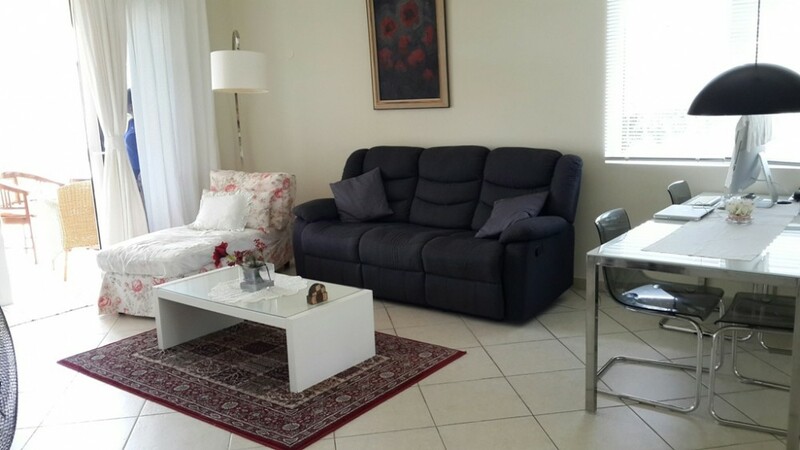 Royal Palm Resort: New 'Flamingo' furnished 2 bedroom apartment | € 1.498 / mo. 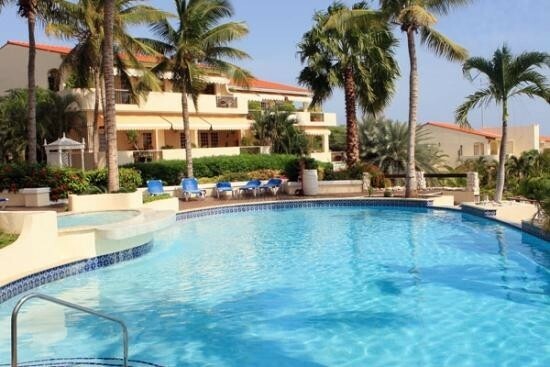 This beautiful new 2 bedroom apartment is located in the exclusive Royal Palm Resort Curacao. The central location is exceptional, the view is fantastic, impressive architecture and the execution is pleasantly spacious. The Flamingo as they are called has a large porch overlooking the sea and a part of the landscaped gardens of the resort. The living room with lounge and modern dining area has an open floor plan. 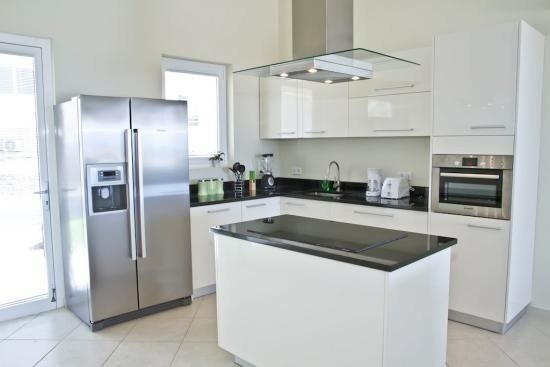 The European kitchen with island is equipped with all appliances including a double-door refrigerator and dishwasher. The finish is luxurious, with high gloss doors and a black granite countertop. There is a full height cabinet with more than enough storage space; here you will also find the washer and dryer. 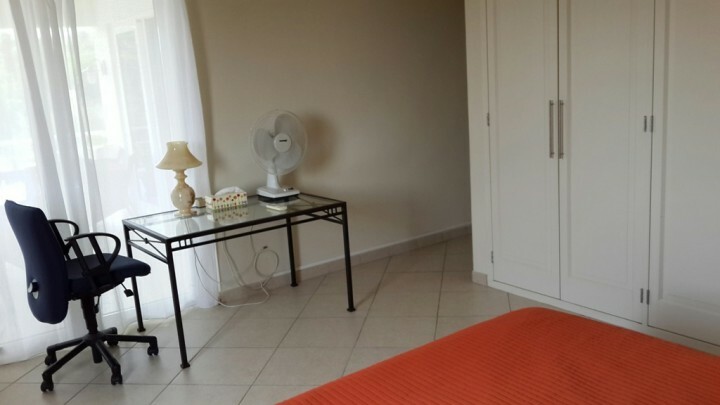 In the apartment are two spacious bedrooms, each furnished a double bed. Both rooms have an entire wall of closets and of course there is air conditioning. Two luxurious bathrooms with European toilet, guest toilet, high ceilings throughout the house and a beautiful terrace make the layout complete. 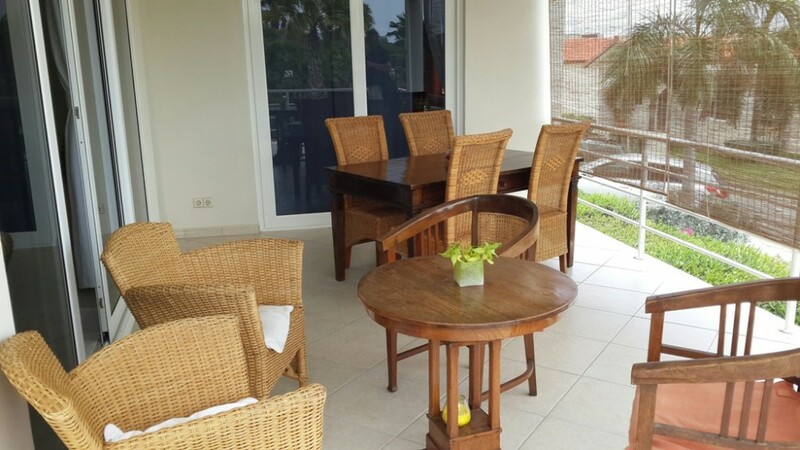 The price is excluding electricity, water, television, internet, but including resort fee. If you would like to visit please make an appointment with the listing agent. Several years ago prestigious hotel developers were looking for the very best location on the island to build their new hotel projects. Today, the Hilton Hotel, Floris Suites Design Hotel and Marriot Resort & Casino are your neighbors, their grounds are right next to the Royal Palm Resort. As a resident you do not only profit from the beautiful central location, but also from hotel facilities, bars, restaurants and shops, all within walking distance. 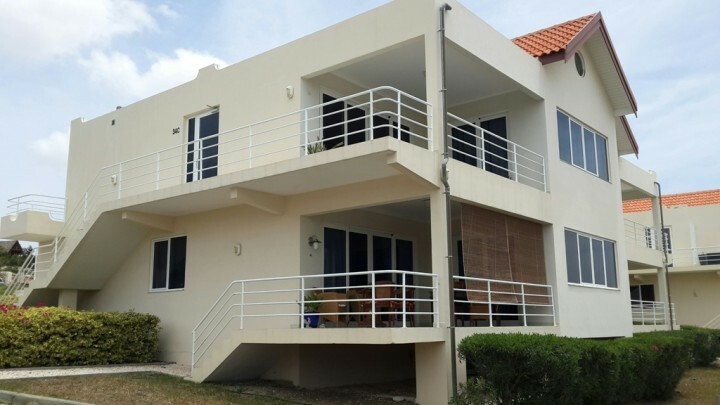 It is only a 10 minute drive to the airport and downtown Willemstad.